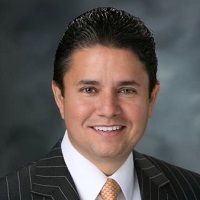 Raul A. Anaya is President of Bank of America for the Greater Los Angeles region. In this capacity, he serves as the enterprise leader for Los Angeles, leading integration of Bank of America’s business lines to ensure delivery of the full breadth and depth of the bank’s global financial services to more individuals and businesses locally. Anaya also oversees the bank’s corporate and social responsibility activities including philanthropic giving, community development lending and investing, environmental initiatives, diversity efforts, arts and culture projects, and employee volunteerism for the bank’s 8,000 associates that work in the Greater Los Angeles region. a variety of industries including Technology, Entertainment (Film/TV/Music), Gaming/Casinos, Consumer & Retail, Agriculture, Aerospace & Defense, and Financial Sponsors/Private Equity. Anaya currently co-chairs Bank of America’s Hispanic-Latino Leadership Council, which consists of the bank’s top 150 most senior Hispanic-Latino bank executives in the United States. The goals of the council are to help develop and advance the bank’s Hispanic-Latino employee base and to help grow the bank’s leading market share position within the Hispanic-Latino markets in the United States. In 2009, Anaya founded and currently leads Bank of America’s 18-member Latino Leadership team for Greater Los Angeles. This Latino Leadership team was formed to increase the Bank’s brand and market share within the Latino community in Los Angeles. Anaya is also a member of Bank of America’s Global Diversity & Inclusion Council, which is chaired by the Bank’s CEO and consists of senior executives from across the company that help drive various diversity initiatives and strategies, and also help foster an inclusive environment within Bank of America. Groups in Greater Los Angeles, Arizona, and San Antonio and South Texas (1999-2001). University of Texas at Brownsville. He is also a FINRA Registered Principal with Series 7, 24 and 63 securities licenses. Center Foundation (Past Chairman of the Board) and The Los Angeles Area Chamber of Commerce (member of Executive Committee). next post: Emily M. Dickens, J.D.